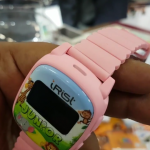 The Indian consumer electronics manufacturer Intex in partnership with MediaTek has announced two new smartwatches namely iRist Junior and iRist Pro. 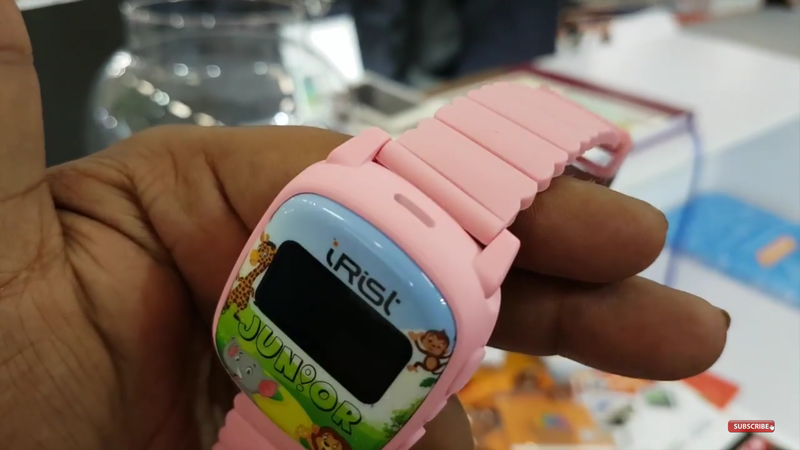 iRist Pro is not yet launched but the iRist Junior has been launched and it is priced at INR 3,999. ). 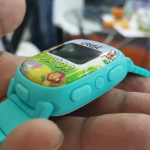 It offers GPS connectivity that will allow parents keep a track of their young ones. 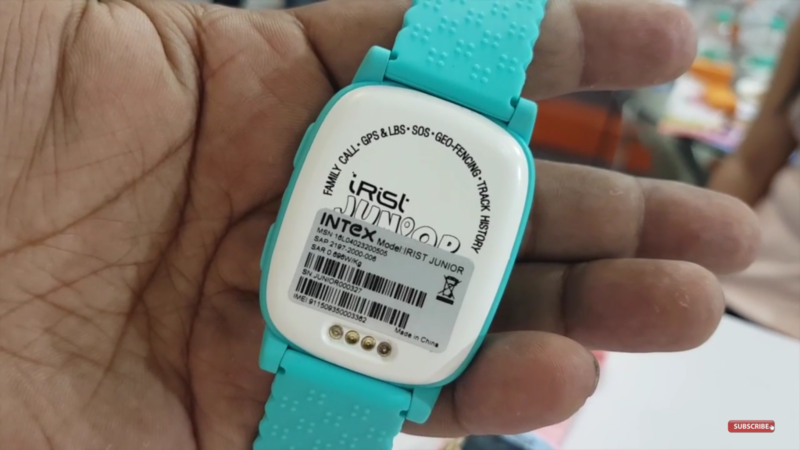 Intex claims that it is the first Indian company to come up with an IoT based wearable. 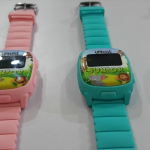 It comes with great safety features and lively colours, so that parents can keep a constant check on their child. Being over with my teenage, I’m personally very eager to see what’s coming up next in when child safety is fused with wearable technology. 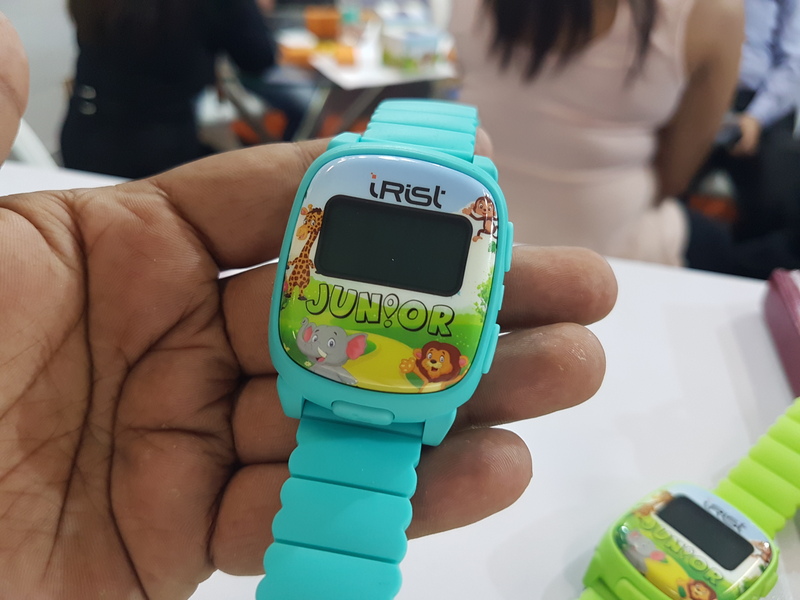 We were present at the Smart Cities India 2016 Expo and got to see the iRist Junior. 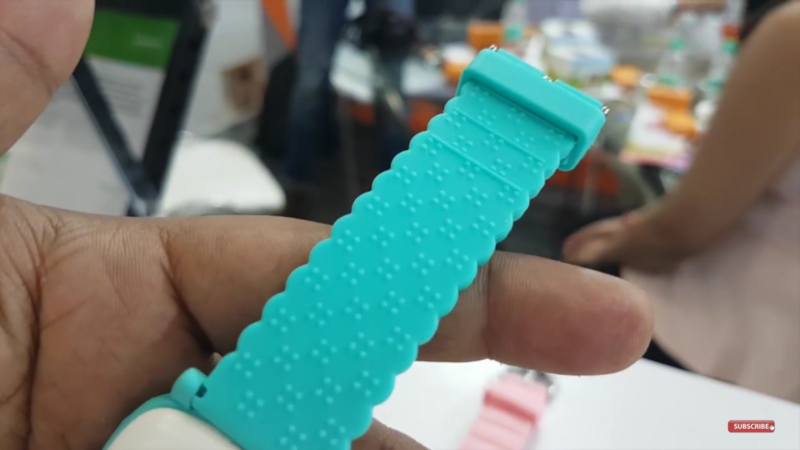 We spent some time with the smartwatch and we’ll be talking about our hands on experience with the watch. It is very attractive in looks; at least I would have loved it for sure when I was a kid. 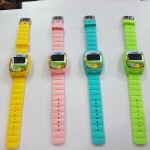 It comes in four different colours which include baby pink, aqua blue, yellow and neon green. 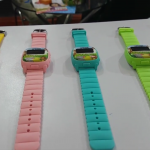 All the colours are well suited for toddlers. 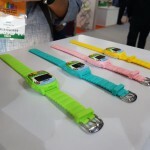 The strap is beautifully designed and is made using good quality rubber. 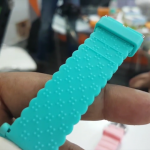 It has tiny dots on the inside part of the strap; these dots are in a pattern that it lets air pass between the skin and the strap. It will not leave any rashes on the skin and it will also reduce sweating. 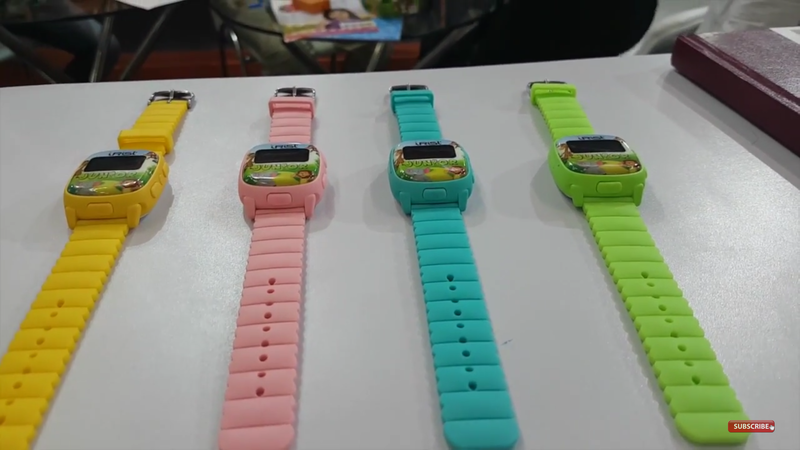 The dial is made with plastic but feels solid, but the thickness is a bit on the chubbier side. 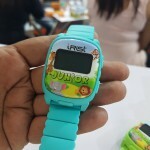 It has a small 0.96-inch TFT and it is not a coloured display. You will find cartoon graphics around the screen with curves on the sides. It weighs 48.5 grams, which is decent for a watch with so many features. It is IP65 certified which means it is water and dust resistant. Up and down navigation buttons are on the right hand side with a circular button in between which can be used to speak on the mic and also to power on the watch. SIM card slot is on the left hand side, which supports a microSIM. Micro USB port is on the top. And the back looks something like this. 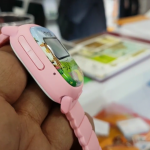 It allows you to track your children even when you are not with them. The SIM inside the phone will send all the data to the Intex cloud servers and you can always keep a check on the location remotely via supported application. Being an adult we understand how important the SOS button is for anyone these days. Not only children but women and even men can face situations where the SOS button can be the savior. 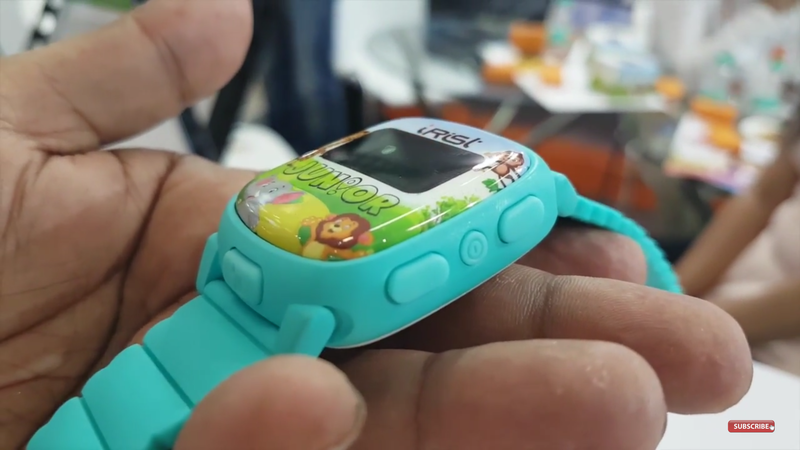 Understanding the importance of SOS button, Intex has given a dedicated SOS button on the bottom, so that you can teach your children what to do when they are in danger. 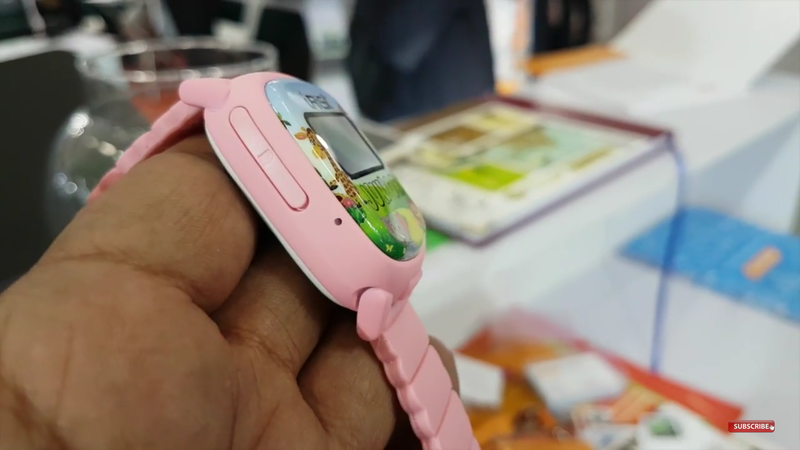 Unlike other smartwatches, it will allow you to and your child to have a conversation without the need of pairing the watch with a phone. It supports a SIM card, has an inbuilt microphone and a speaker. This mode can be used when your child cannot attend your call and is in the class, because you can’t be everywhere and every time. If you have called when the child is attending his class, you can still discreetly hear what is going around the toddler. It will stay silent and automatically receive the call when the Class mode is turned on. 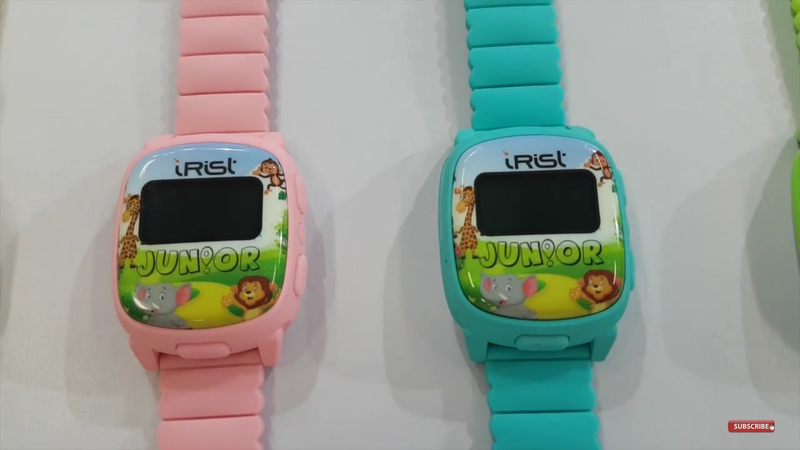 You can also add your kid’s friends who also have an iRist Junior watch. We are not sure what options does this offer, but we will surely dig it and find out what can you interact with the added friends. 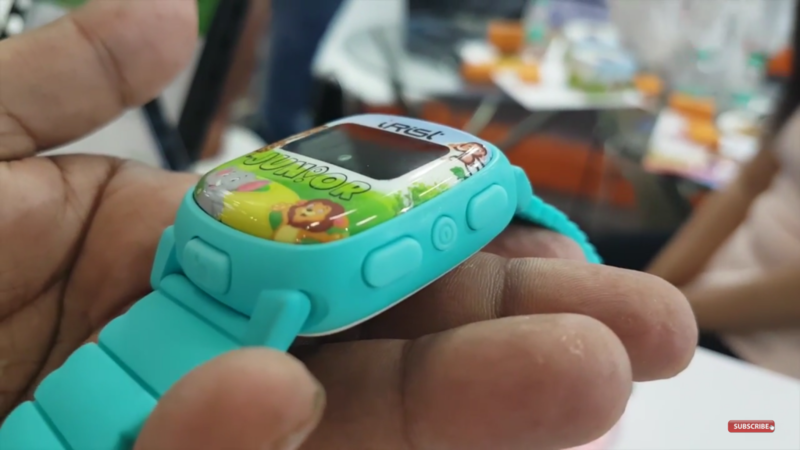 This feature tells you the last recorded location of your child in case the battery runs out of juice or someone intentionally turns off the watch. It is one of the most useful features according to me, as it allows you to set a specific area as safe for your child. It will send and alert to you if he breaches the specified area. You can also keep a check on the battery status of the watch from your phone. You can send and receive voice notes through the iRist Juinior app. 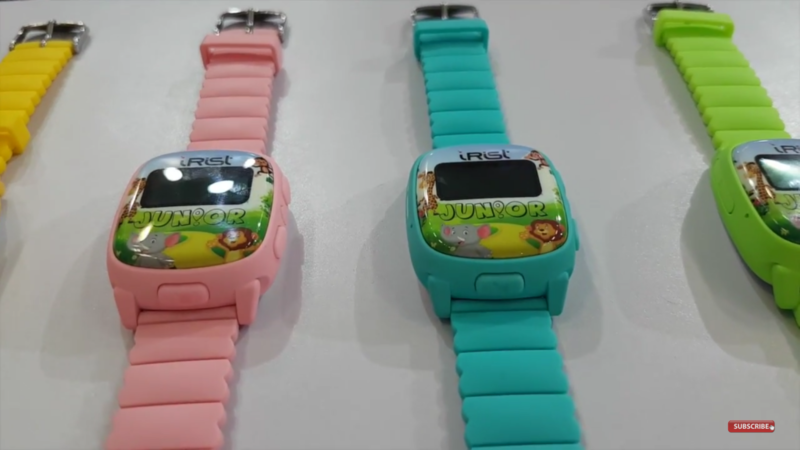 You can send voice notes to your children and they can hear it and reply using the speak button on the right hand side of the watch. 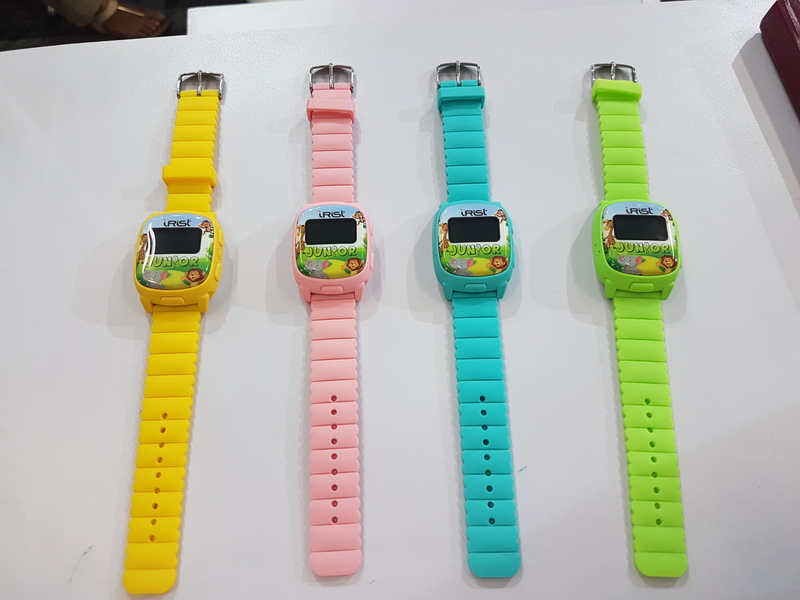 It comes with a 580 mAh battery that seems good enough and long lasting for a watch with limited functions and a small TFT display. 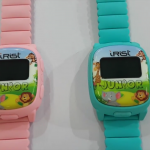 iRist Junior is compatible with Android and iOS devices. The world outside is getting more and more dangerous everyday but, with the help of technology, parents can now afford a mental peace about their children’s safety. 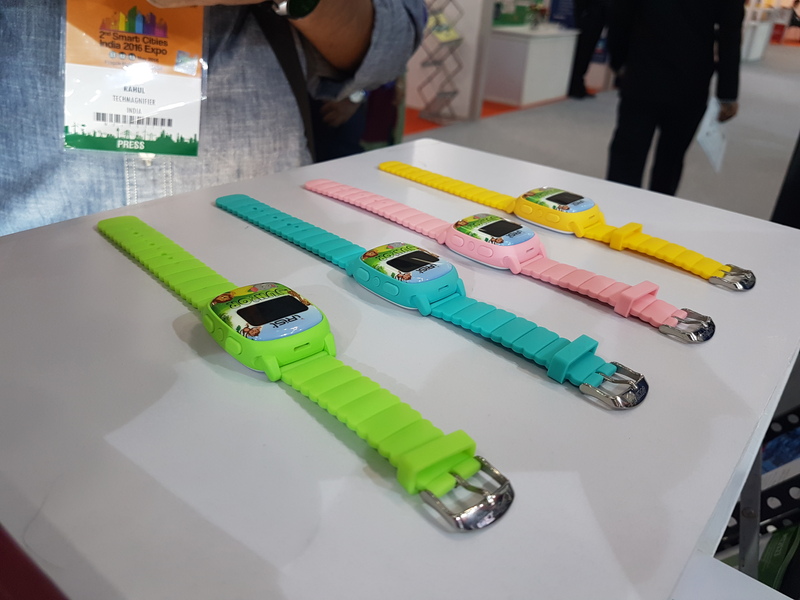 They now have options to access newly designed digital wearables that constantly track the real time whereabouts of their young ones. Ultimately, these devices are life savers, and since it is a much cooler option in all the ways. I don’t have a kid but I still find a lot of compelling features to buy this one. 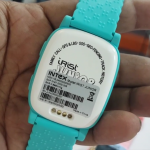 The best part is that it is priced at INR 3,999, which is very reasonable according to me.